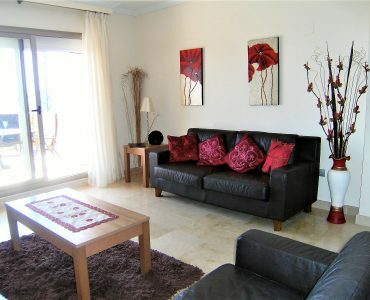 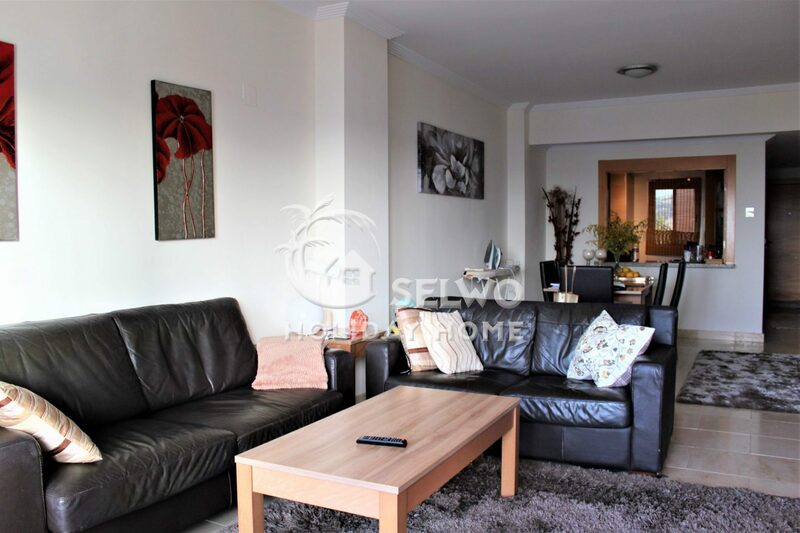 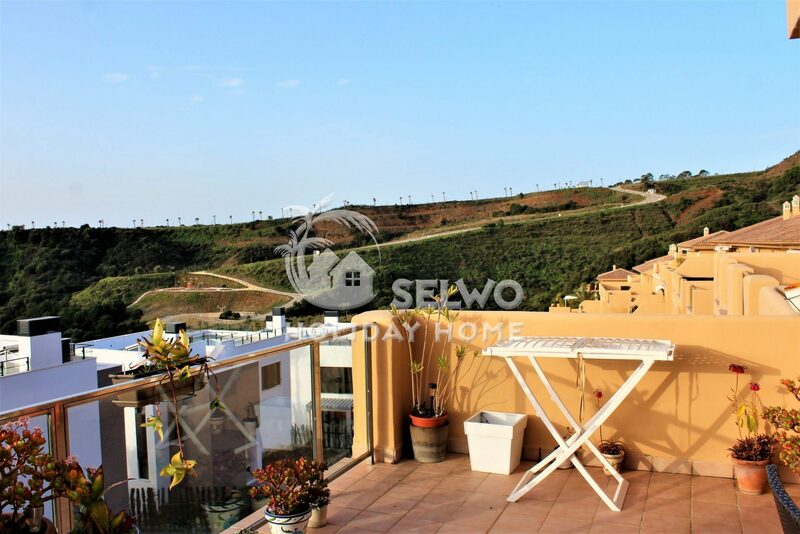 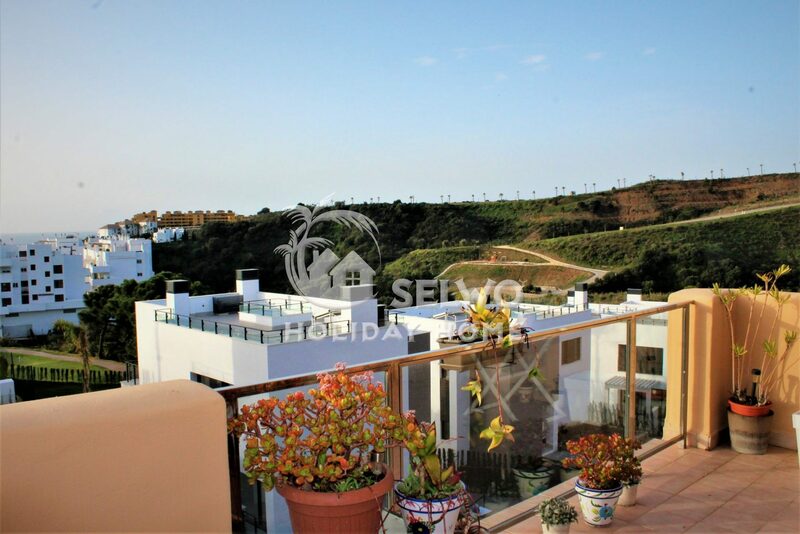 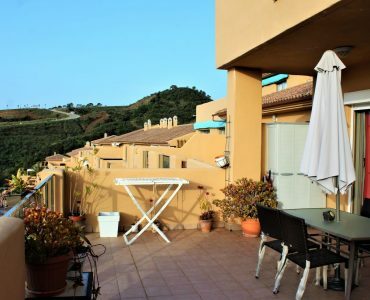 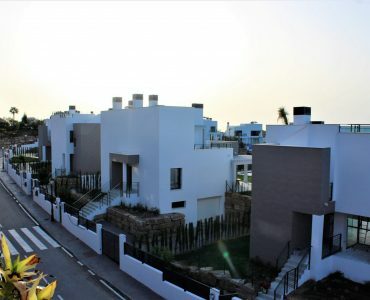 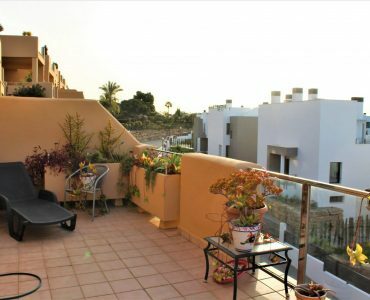 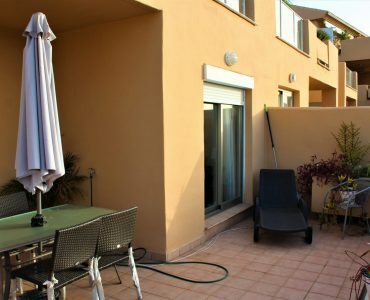 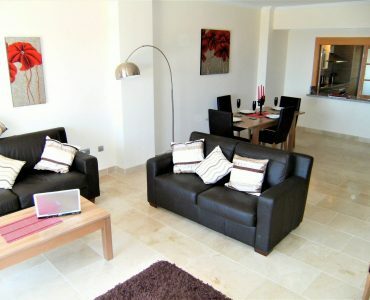 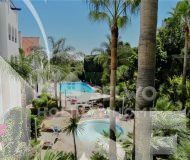 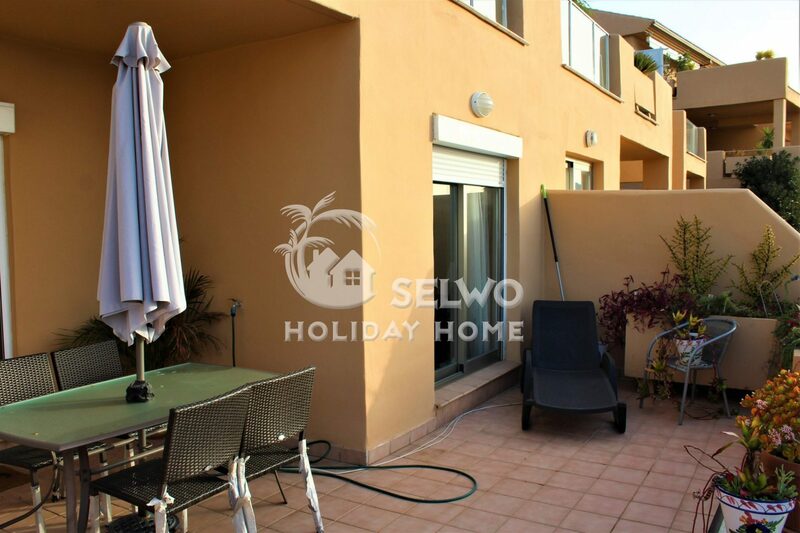 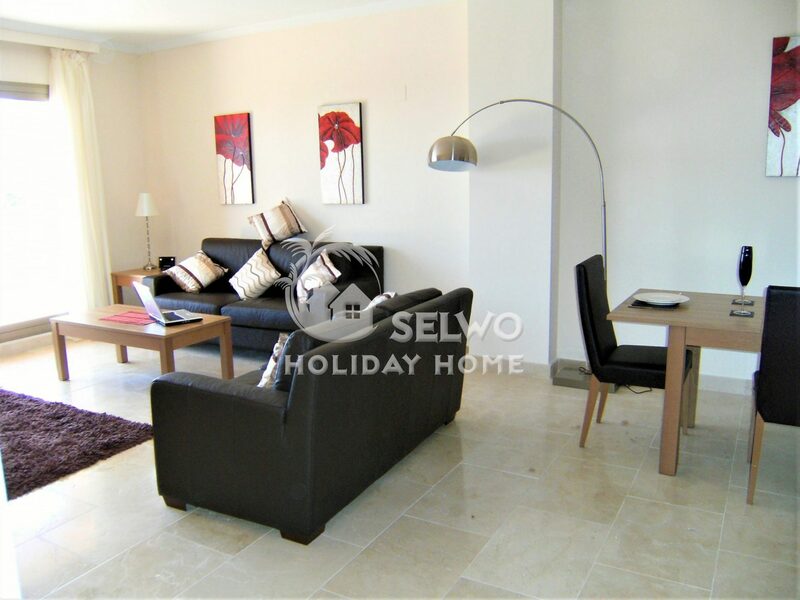 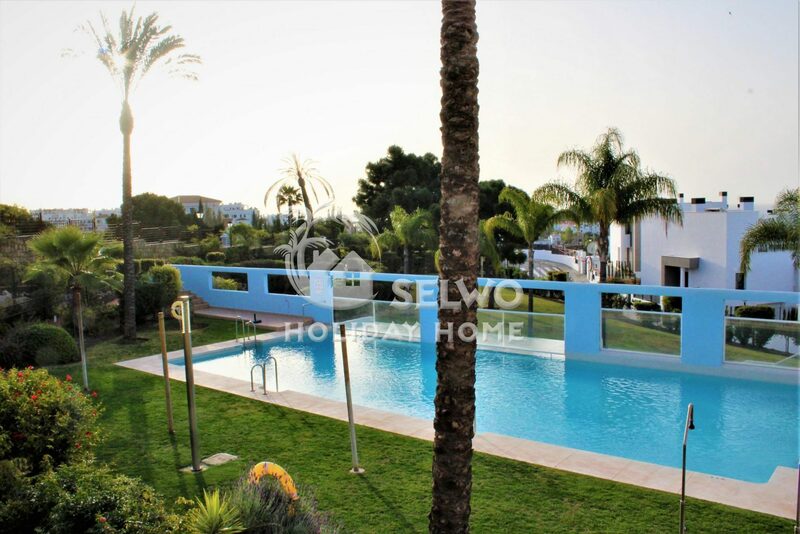 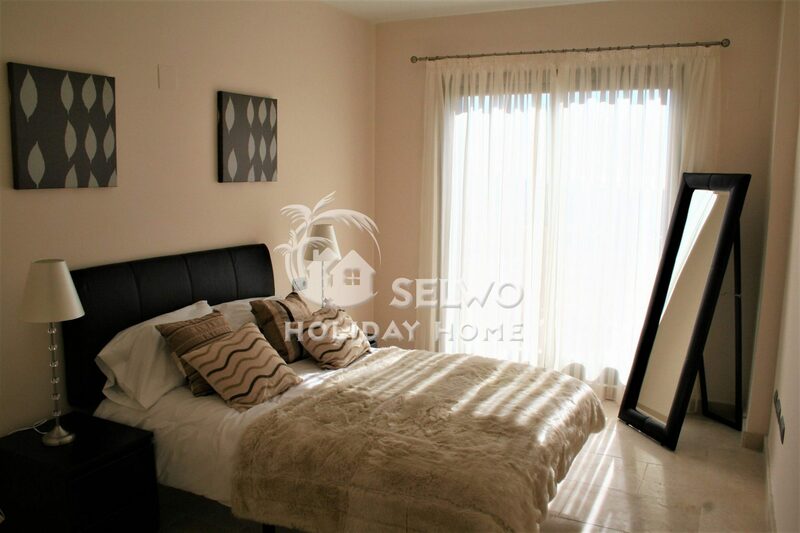 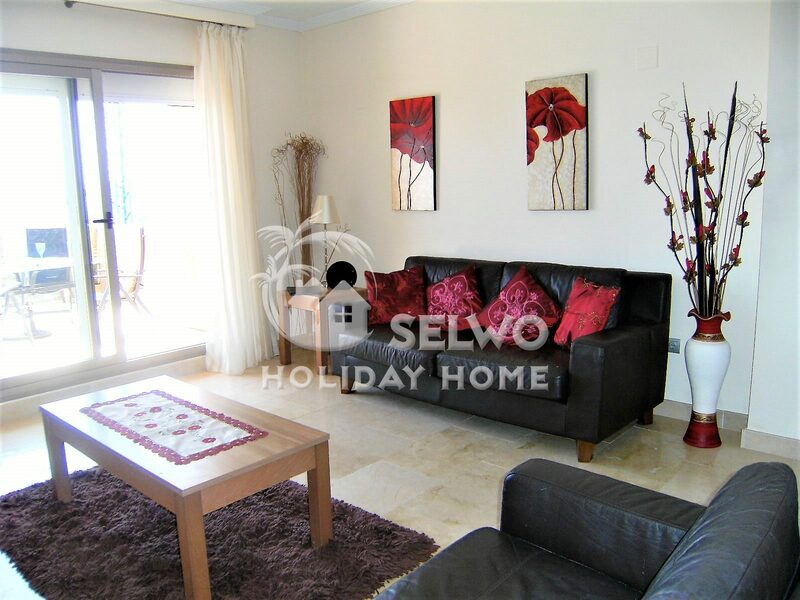 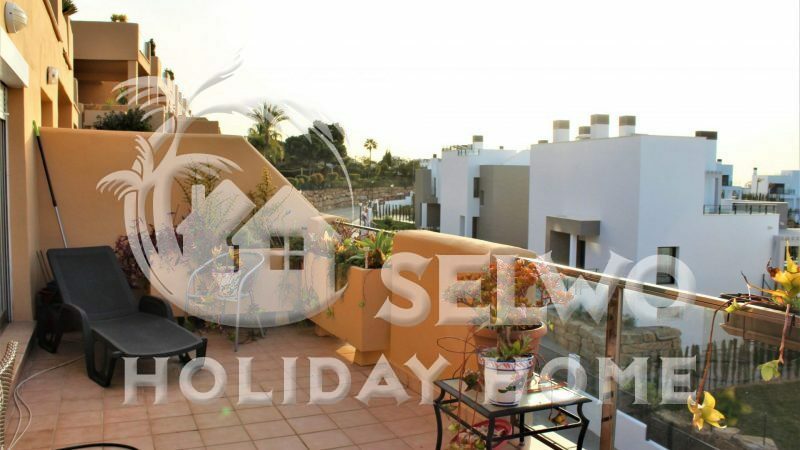 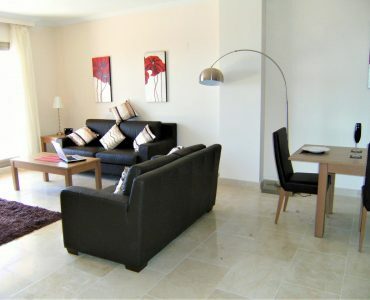 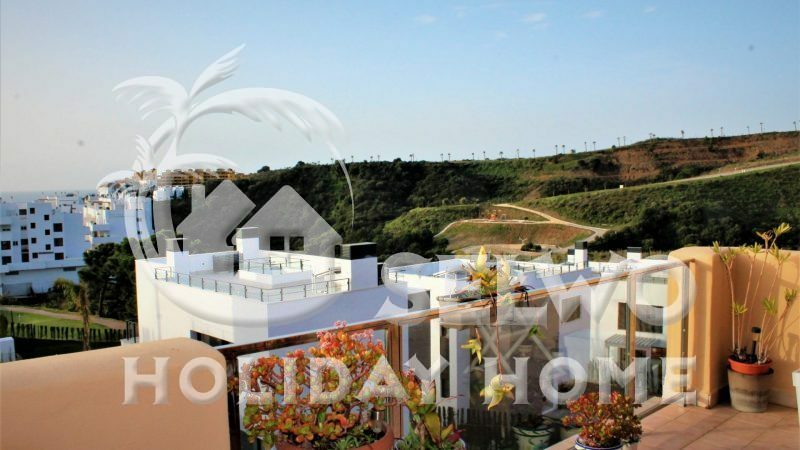 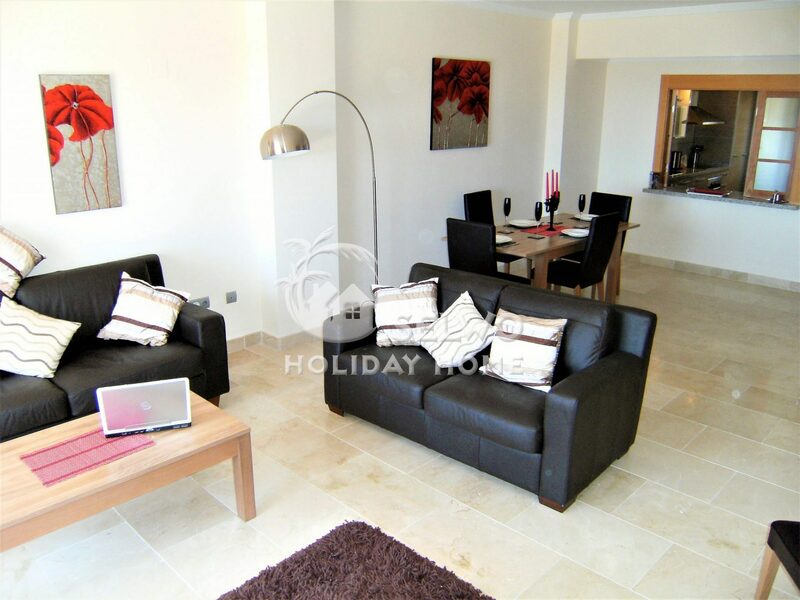 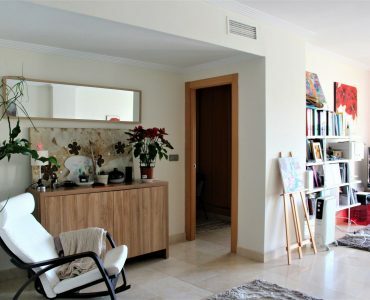 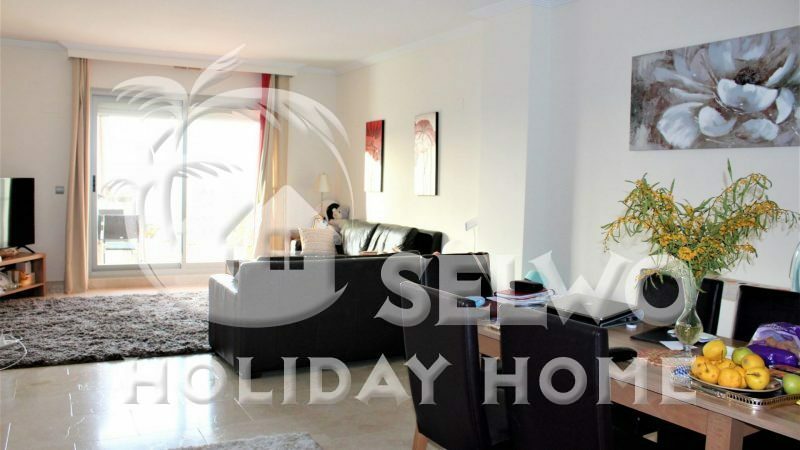 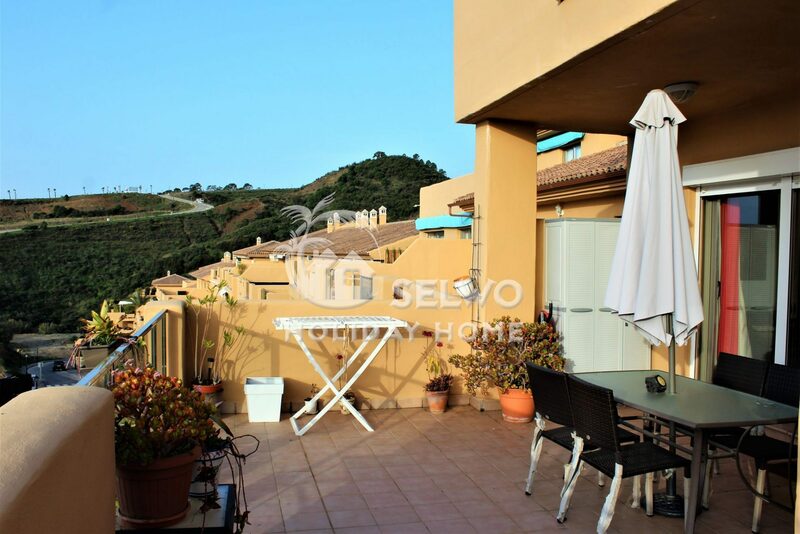 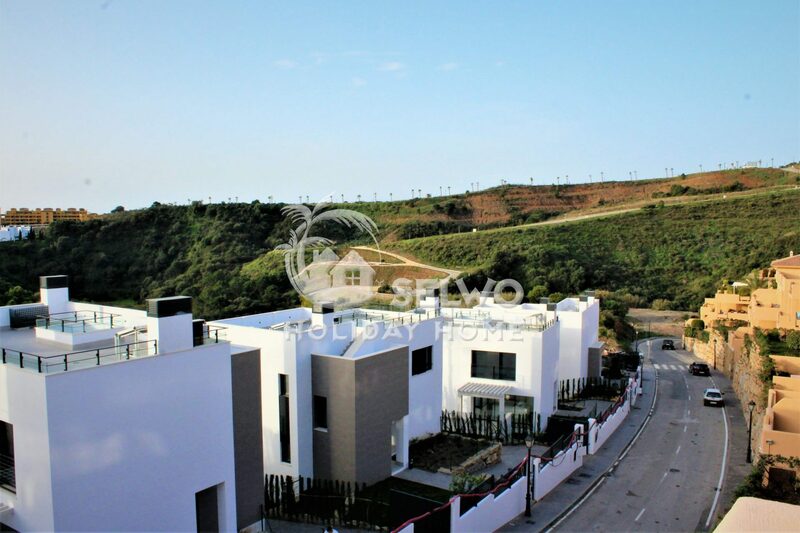 This spacious 2nd floor apartment is situated in the popular gated complex of La Resina Golf. 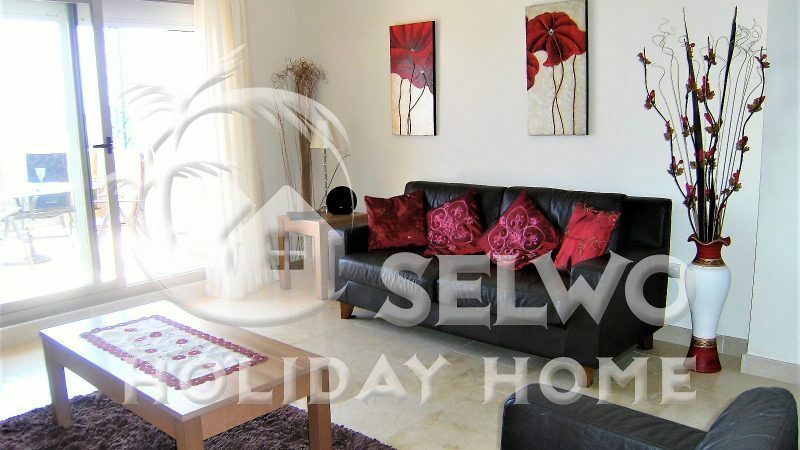 It has a stylish décor and gives a bright impression of its open plan layout. 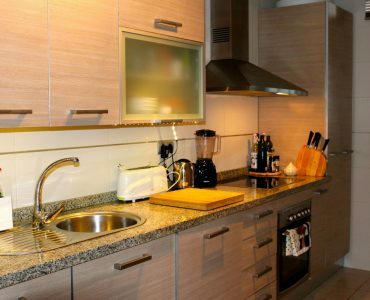 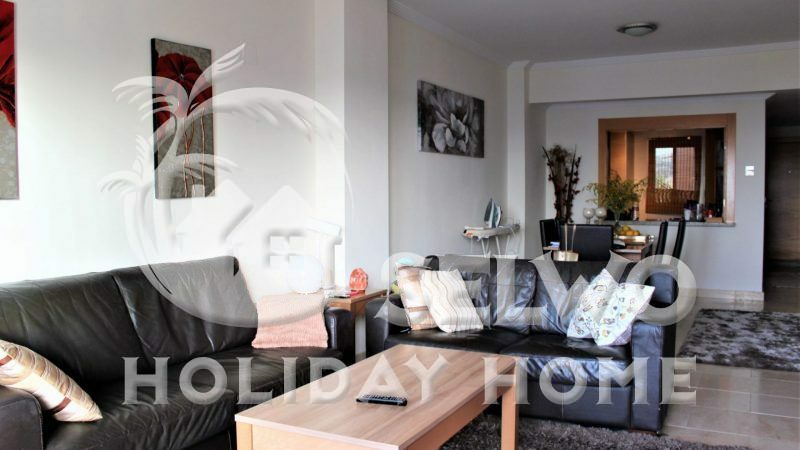 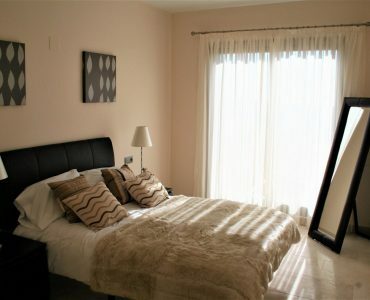 The apartment consists of two bedrooms, two bathrooms, a large living room with dining area and a fully equipted kitchen. 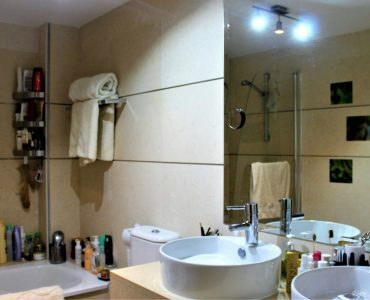 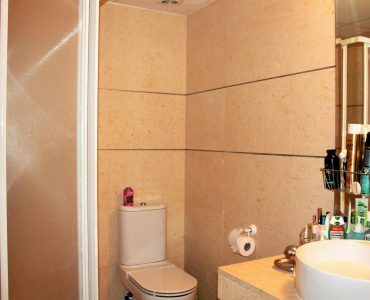 Features include marble floors, floor heating in both bathrooms, climate controlled air conditioning with cooling/heating. 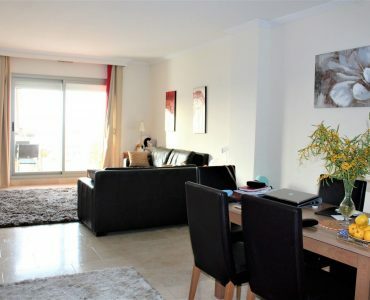 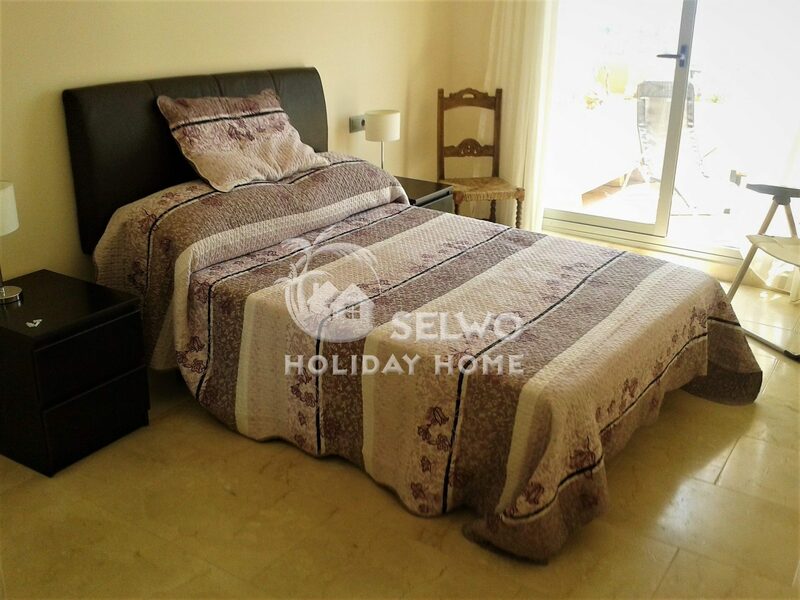 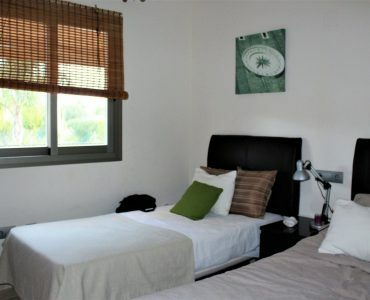 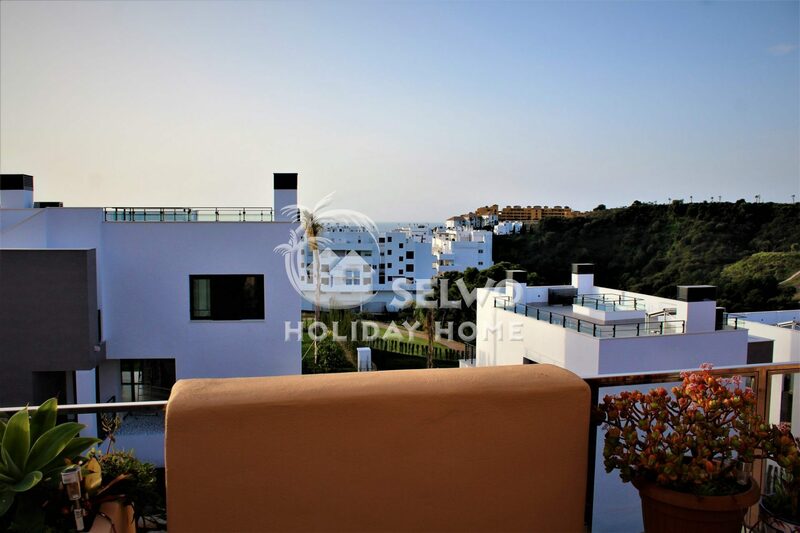 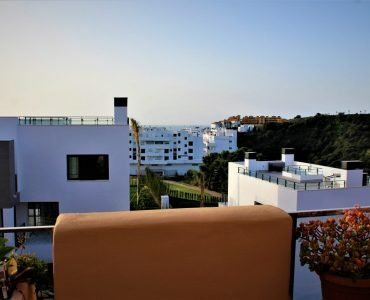 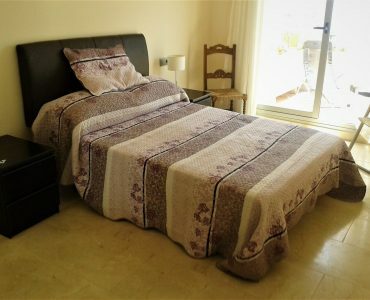 The master bedroom and living room has direct connection to the large terrace with a view over the La Resina area, including the 9-hole golf course and the mediterranean sea etc. 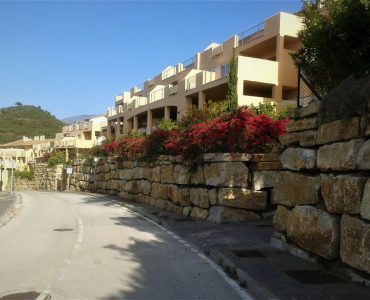 The terrace faces south, meaning sun from morning until late afternoon. 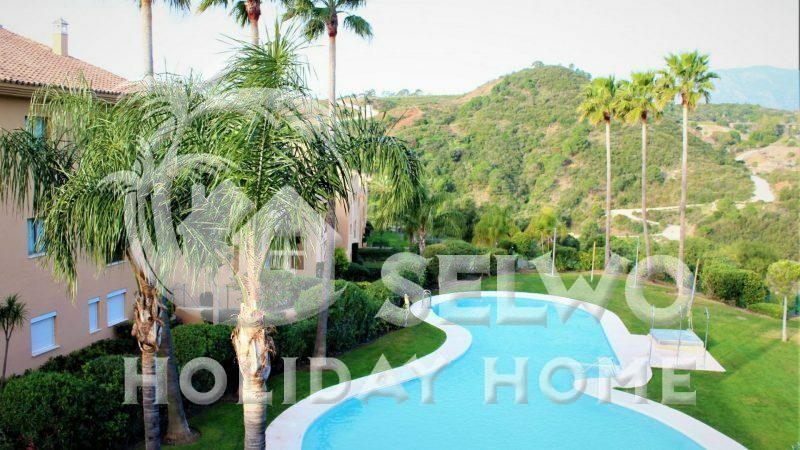 La Resina Golf is a popular complex with lovely pool areas and large relaxation areas. 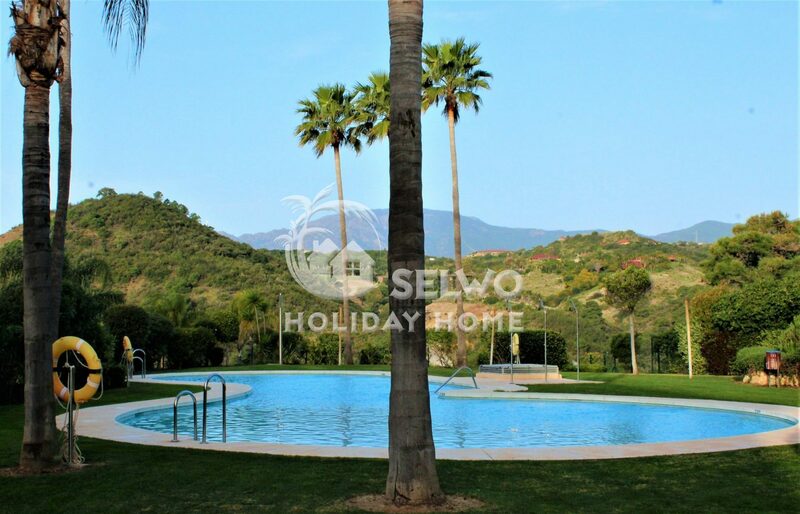 With views over the Mediterranean Sea at the front and Selwo National Park at the back (with Selwo Aventura) you can hardly complain about the views and silence in the surrounding. 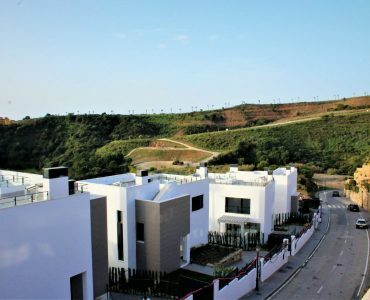 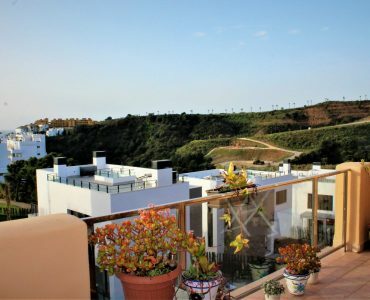 La Resina Golf is located along the “New Golden Mile” which means proximity to everything while the area is peaceful and quiet. 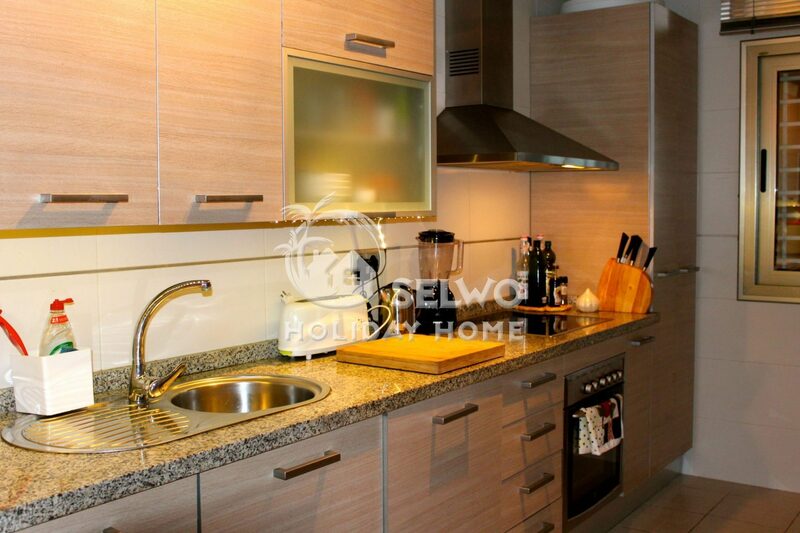 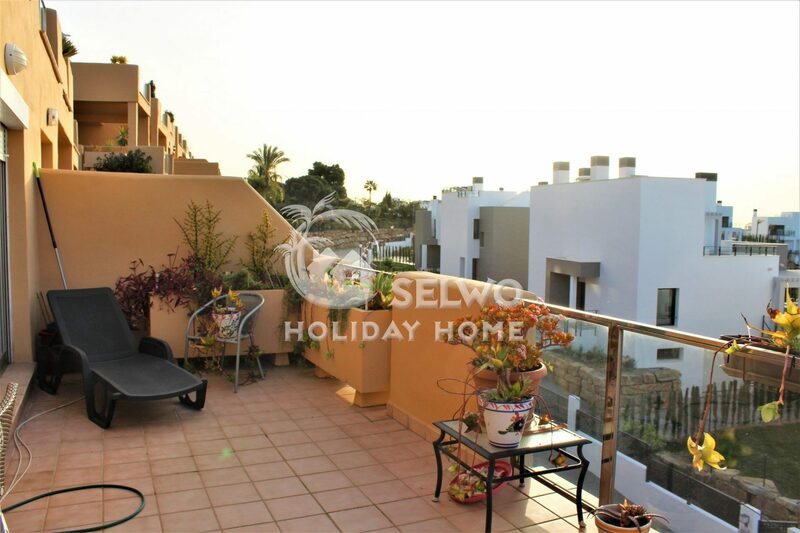 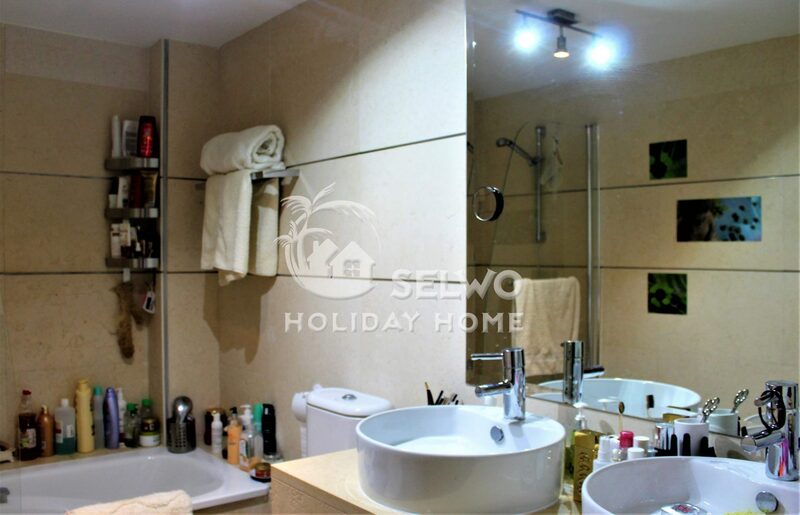 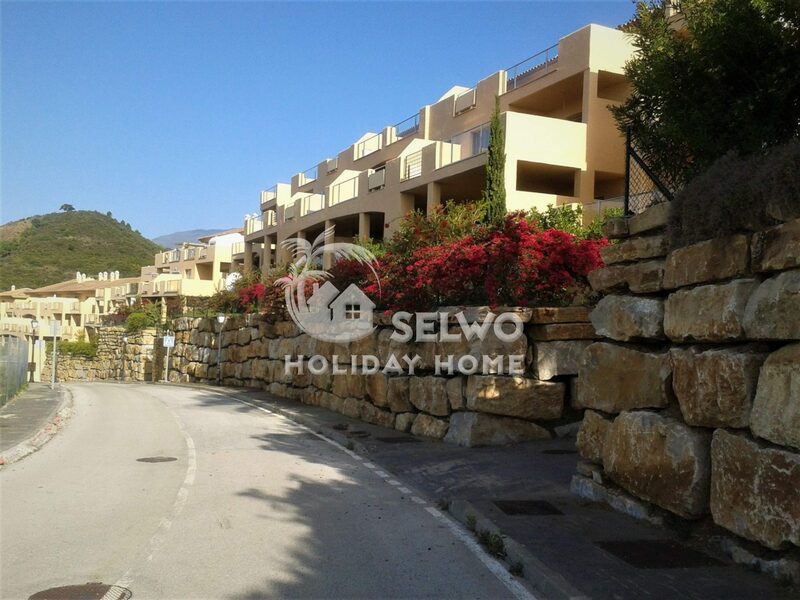 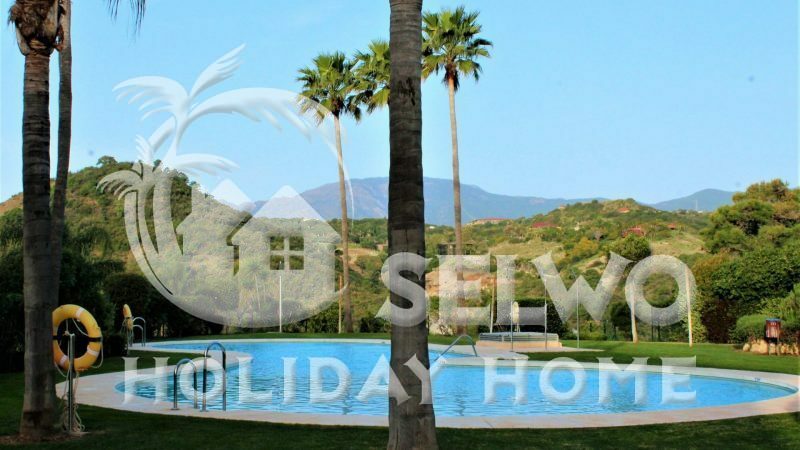 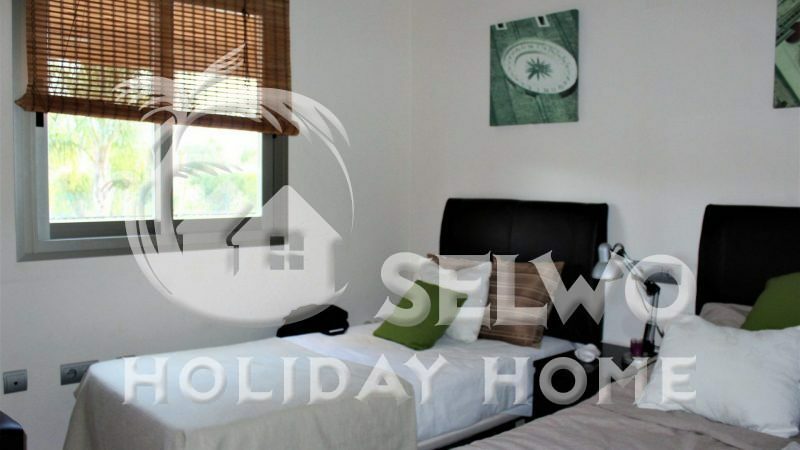 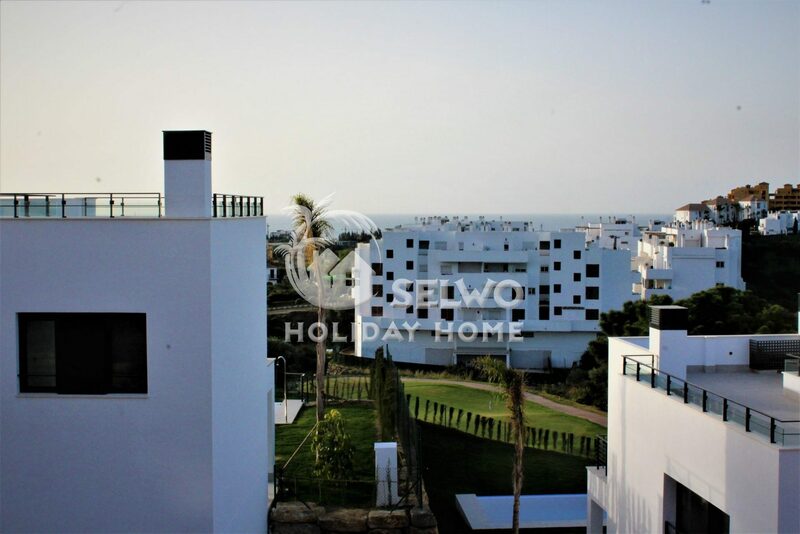 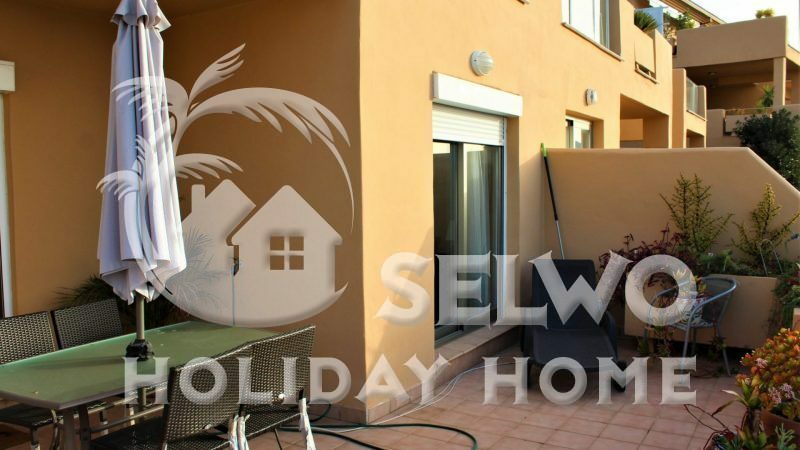 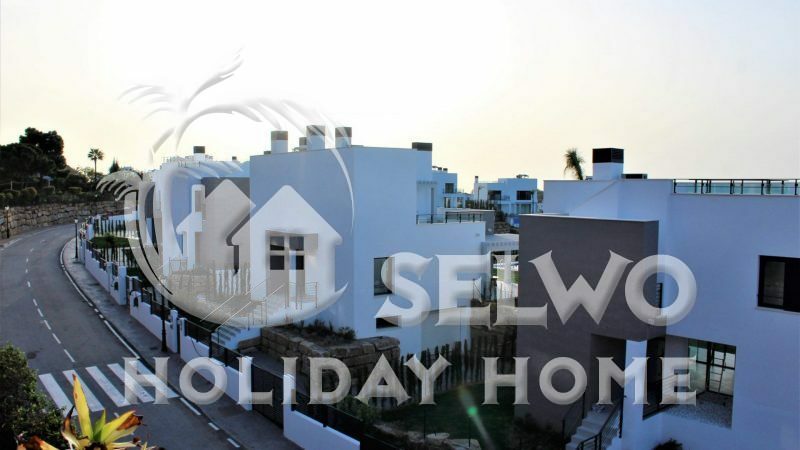 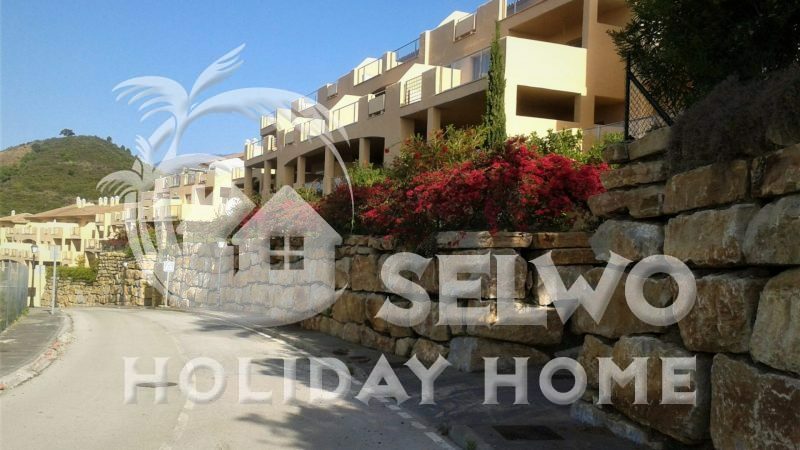 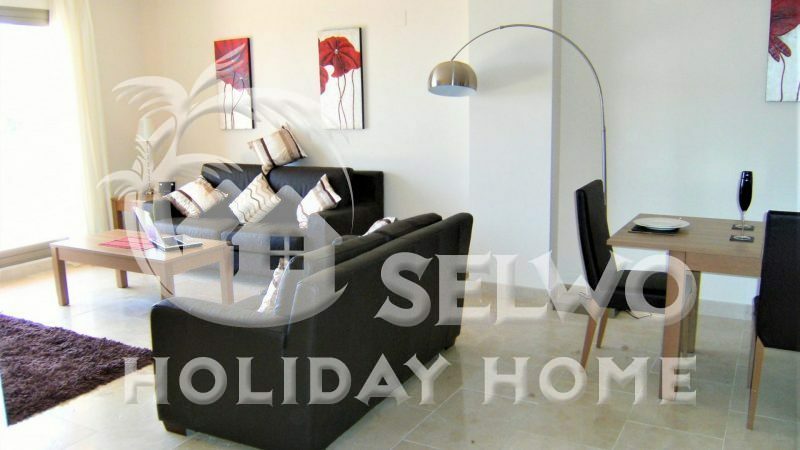 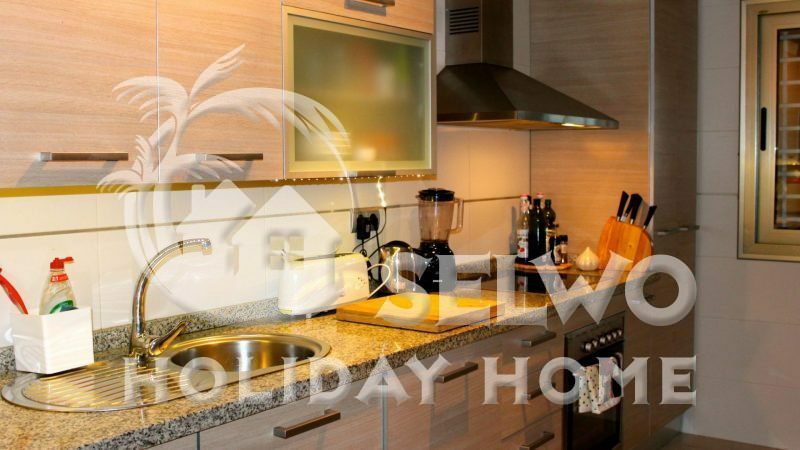 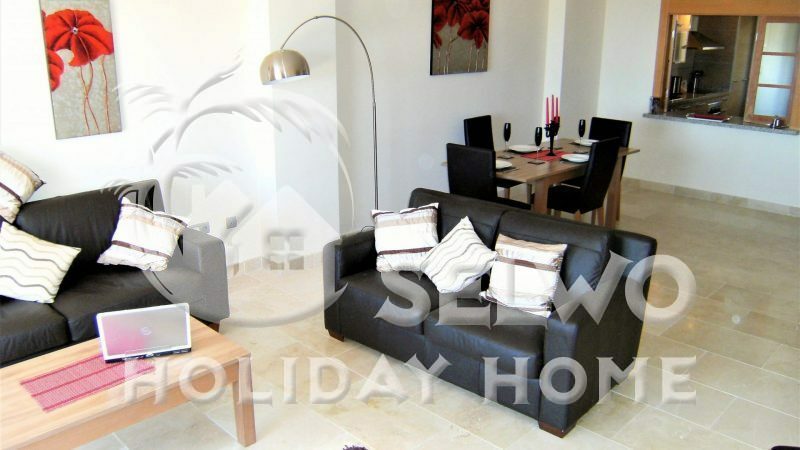 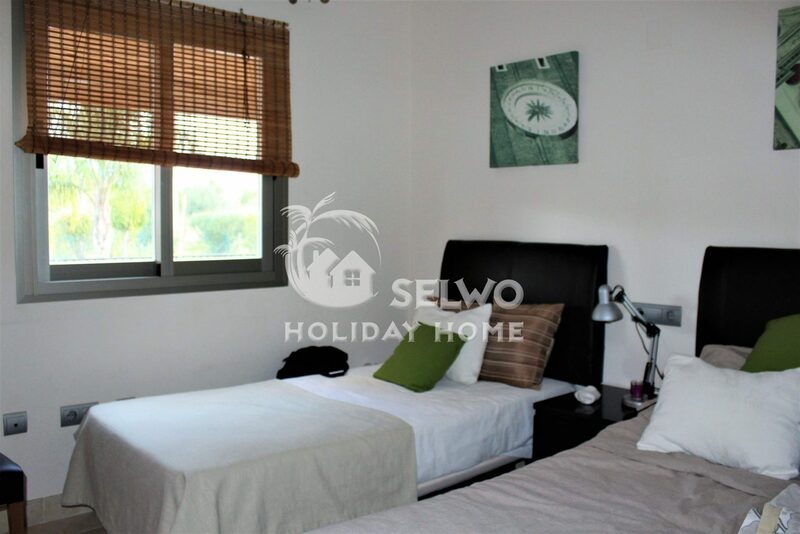 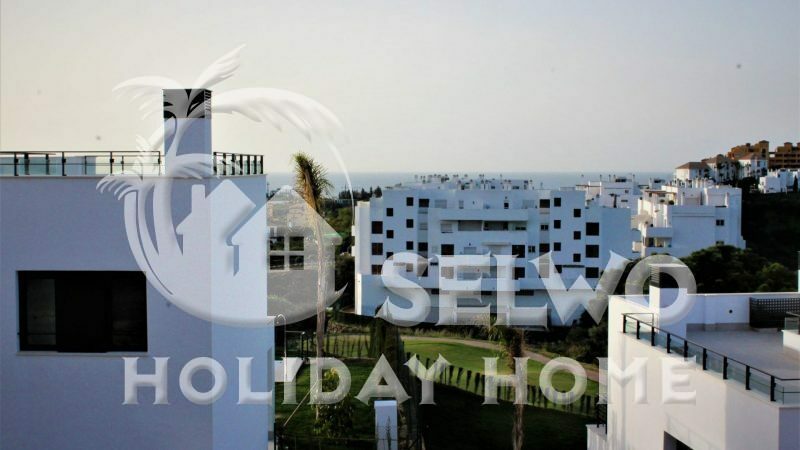 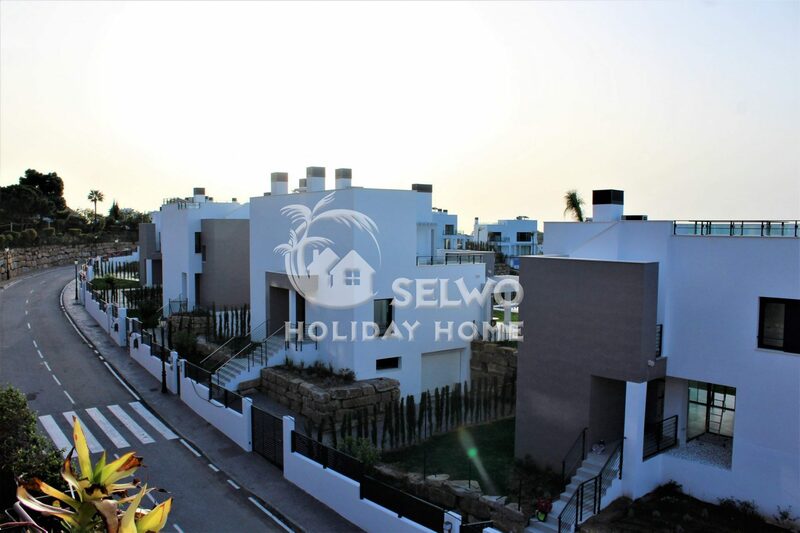 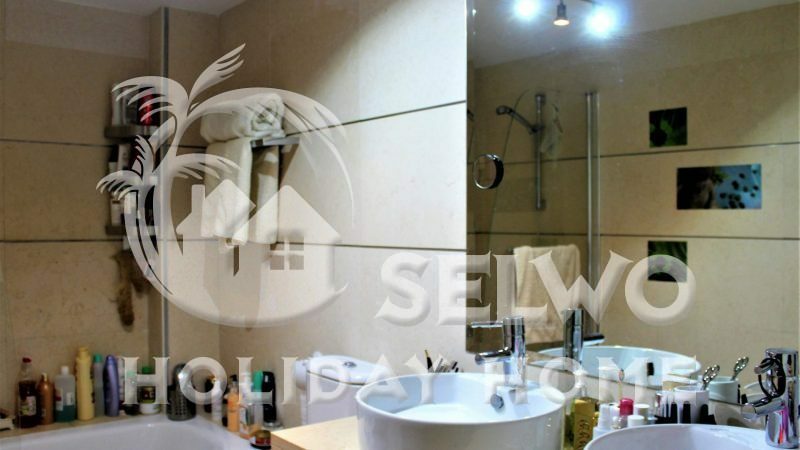 Selwo Aventura and the beach are just a few minutes drive away. 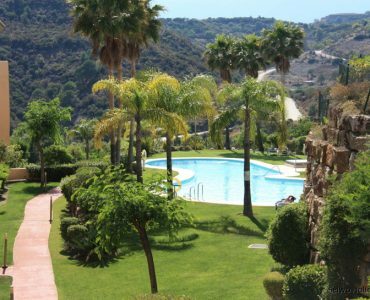 Estepona, Puerto Banus and Marbella is just a 10-15 minutes drive away. 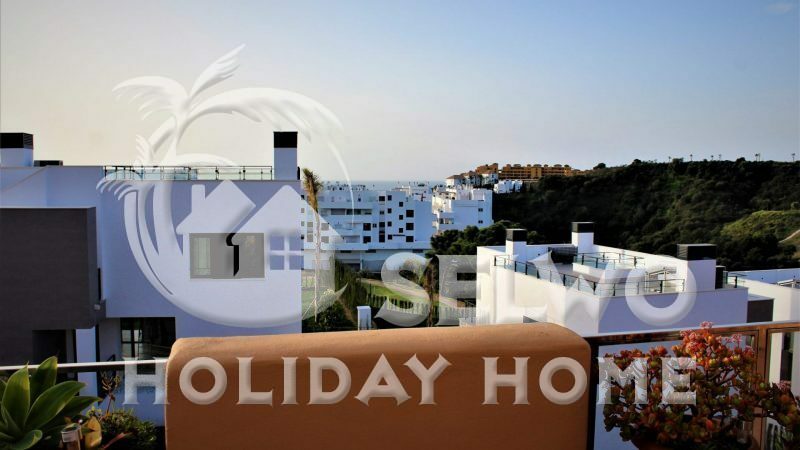 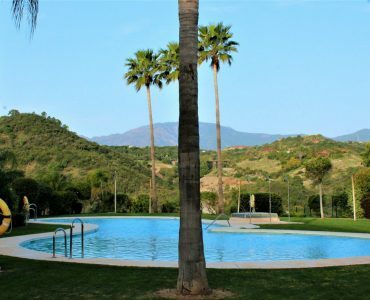 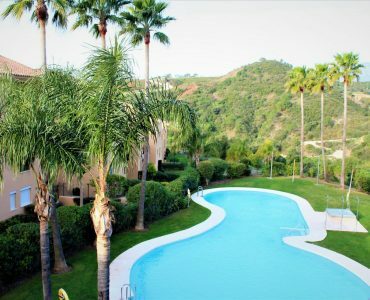 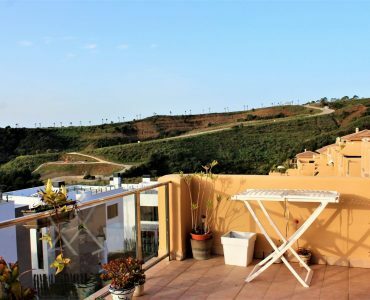 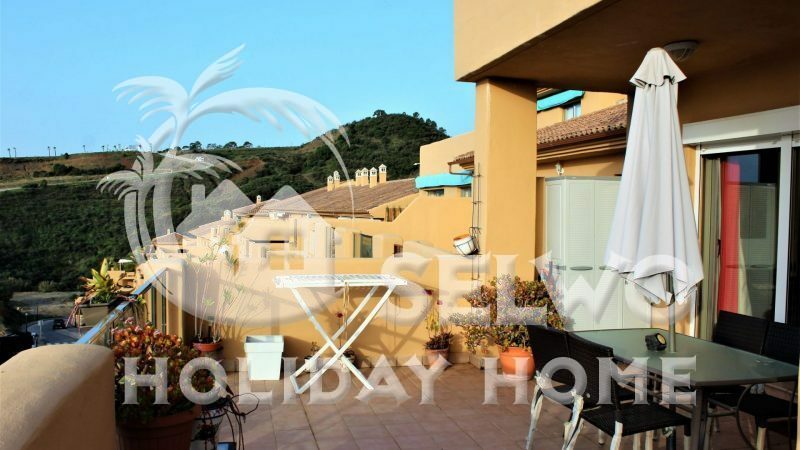 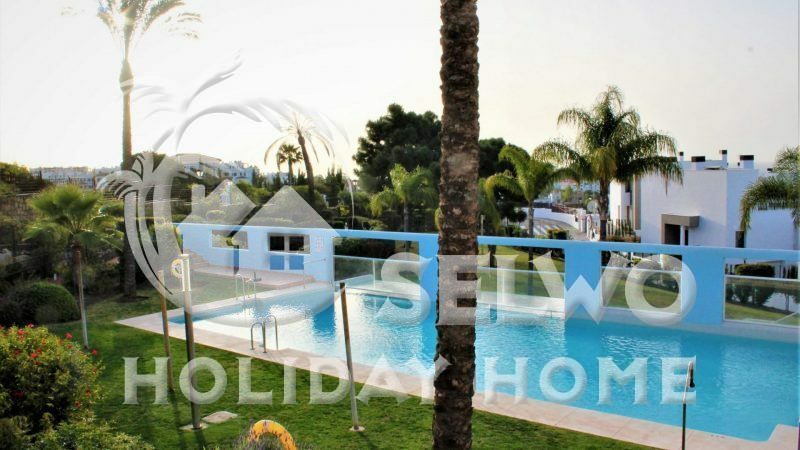 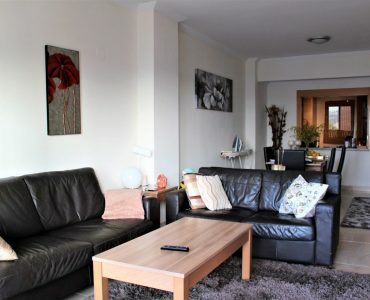 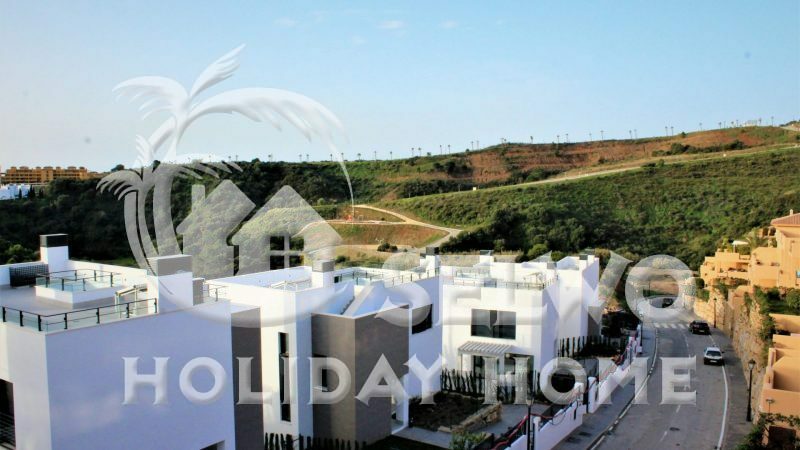 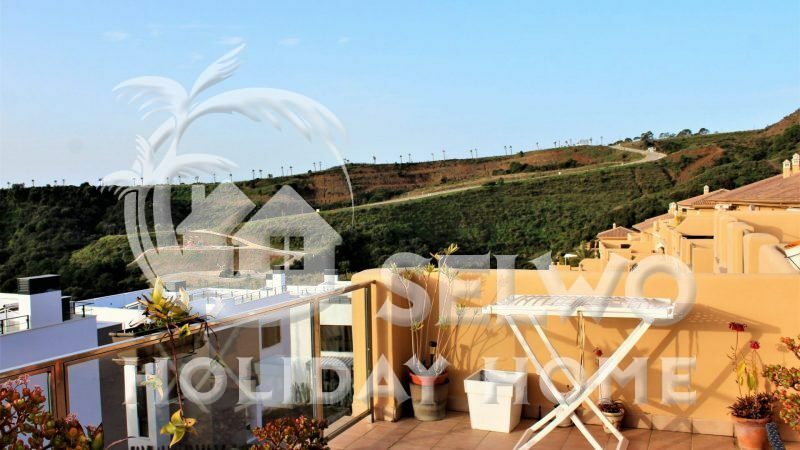 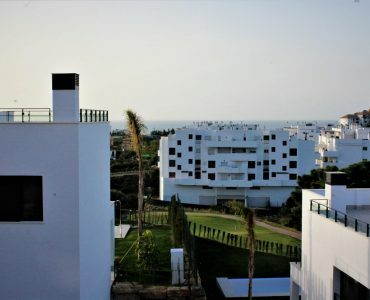 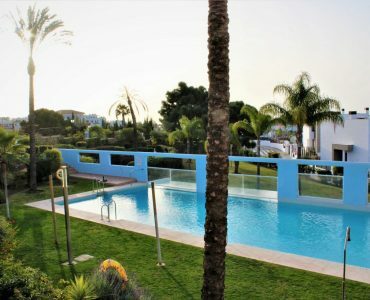 La Resina Golf is a popular resort so the apartment has a good rental potencial if you’re interested to invest for short term or long term rental.